Interpret this post however you choose. Read a book. Please. Maybe read a few books. Fiction or non-fiction, just read a book. If you don't want to spend the money, go to your local library. If your local library has nothing of interest, find a book via interlibrary loan. A library card costs nothing. Where else can you find a free entertainment/education? The internet is a great research tool, especially for those who have developed good research skills. It is easy to find answers (or opinions) with a Google search. Writing a book takes mores of a commitment than writing a few Facebook comments or, dare I say, blog posts. Most of the non-fiction angling books I have read have been very helpful. Some weren't so great, but they were in the minority. 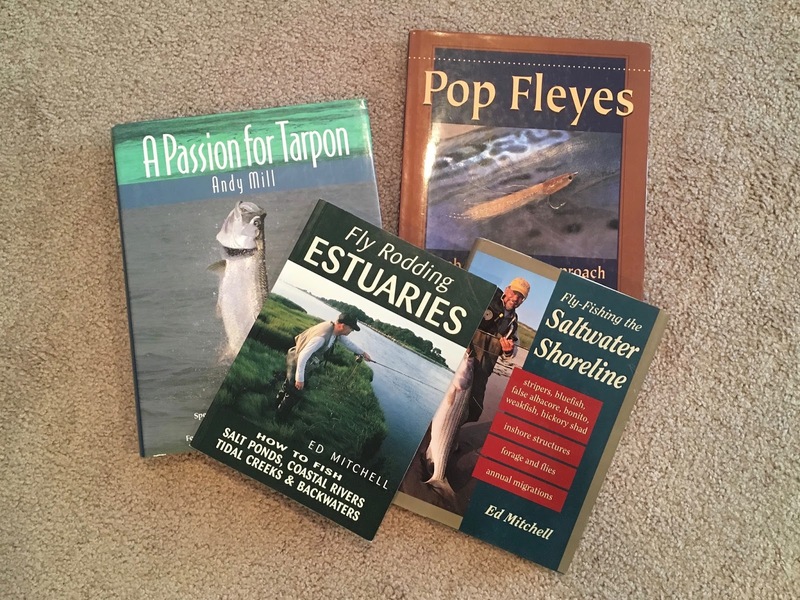 Most fly fishing authors have extensive experience in the subject matter of their books. They write books so anglers like you and I can learn things more quickly than if we were to do it entirely on our own. There are more important reasons to read books, however. Reading reduces stress. Reading helps build the ability to concentrate, which is essential in fly fishing. Reading also hones our critical thinking skills which, unfortunately, seem to be at an all-time low at the moment. I didn't plan it, but my winter reading list is completely focused on saltwater angling. The change of pace will probably serve me well. Seemingly unrelated bits of information have a way of "cross-pollinating" in our minds. Study, mixed with creativity, ultimately leads to innovation. Ben I'm with you. Being able to read other types and areas of fly fishing one can pick up some valuable info that can be applied to our fishing. I love Gartside. I need to get the Gartside books! I know you get what I'm saying! Halfway through "lines on the water", by David Adams Richards. Nephew of the famous matapedia guide, Richard Adams who I once picked up on the side of the road.He was going to meet his sport so I gave him a ride. We had a great conversation. The book is well written and really gives you a good feeling of being on the water. I read that one last winter. Good read!